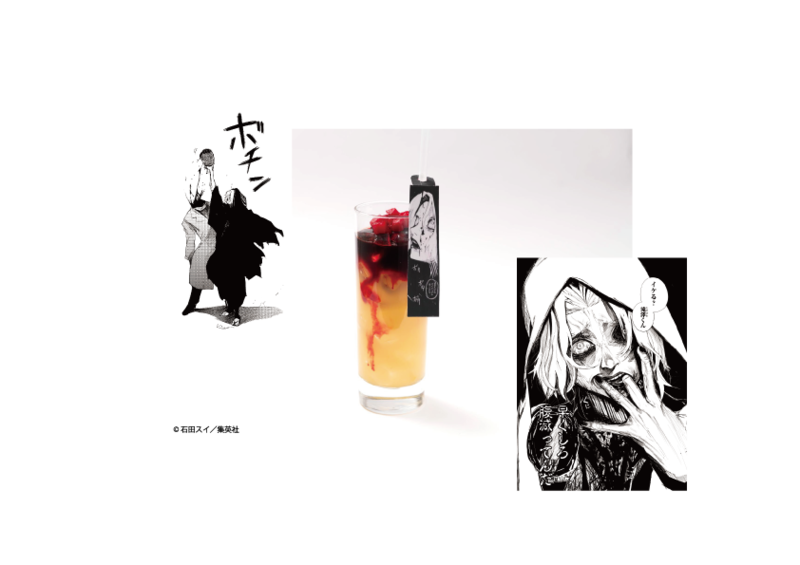 It has been announced that the café based on the hit manga and anime series Tokyo Ghoul:re will now open in Sapporo too alongside Osaka, Tokyo, Nagoya and Fukuoka. 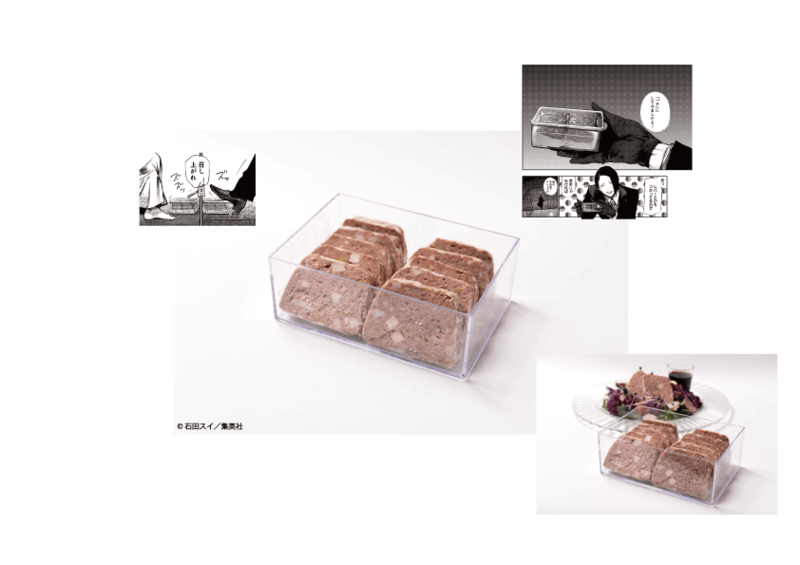 The always-popular “Mazui Sandwich” (literally “gross-tasting sandwich”) will feature on the Sapporo menu. As its name suggests, this sandwich tastes disgusting, but for a good reason. 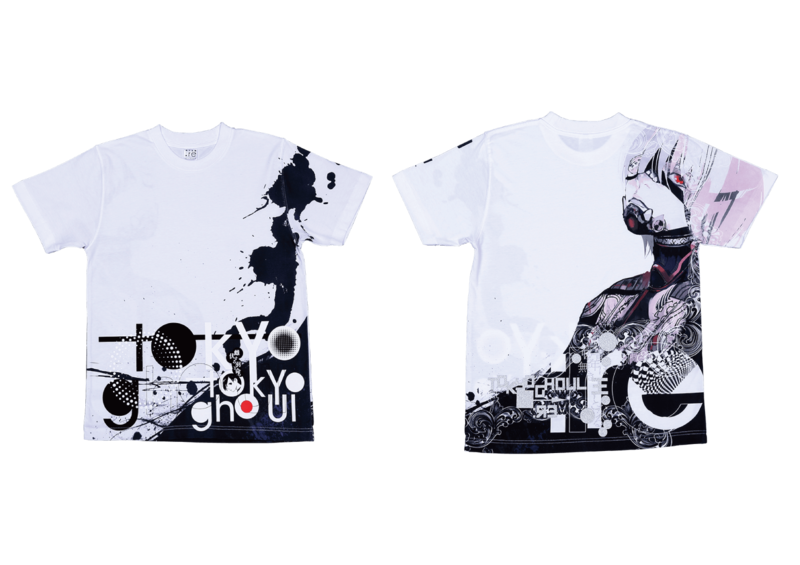 In the world of Tokyo Ghoul, ghouls must consume human flesh – anything else, including any sort of food – tastes gross. 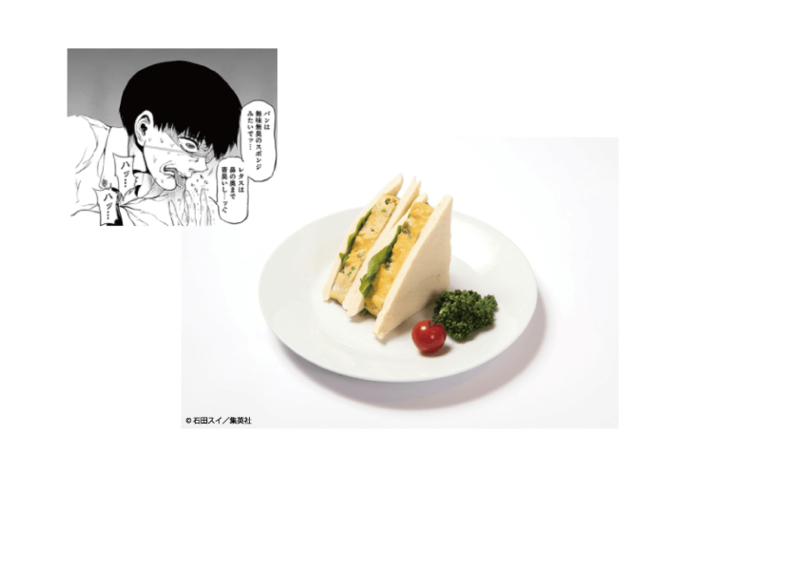 Other menu items will include dishes inspired by the unique characters in the series. 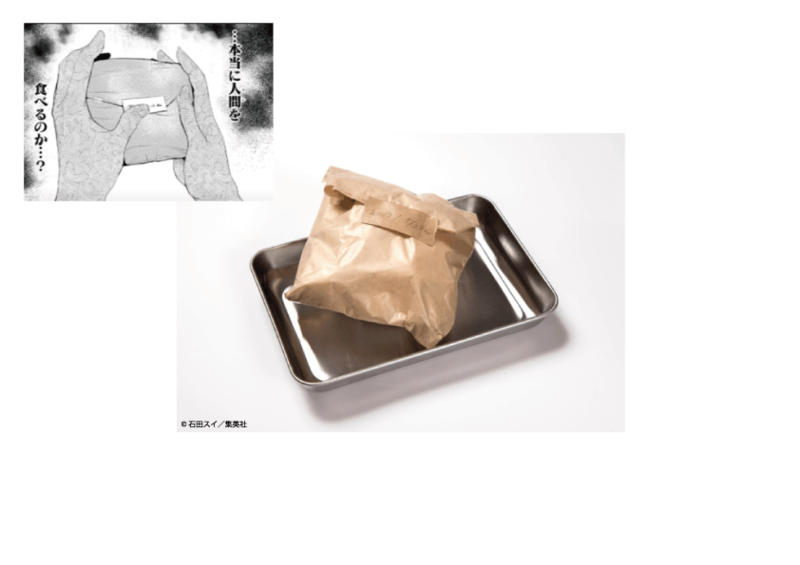 This burger is based on the ‘meat’ that Yoshimura first serves to Kaneki at the Anteiku café. What could be inside the brown paper bag…? 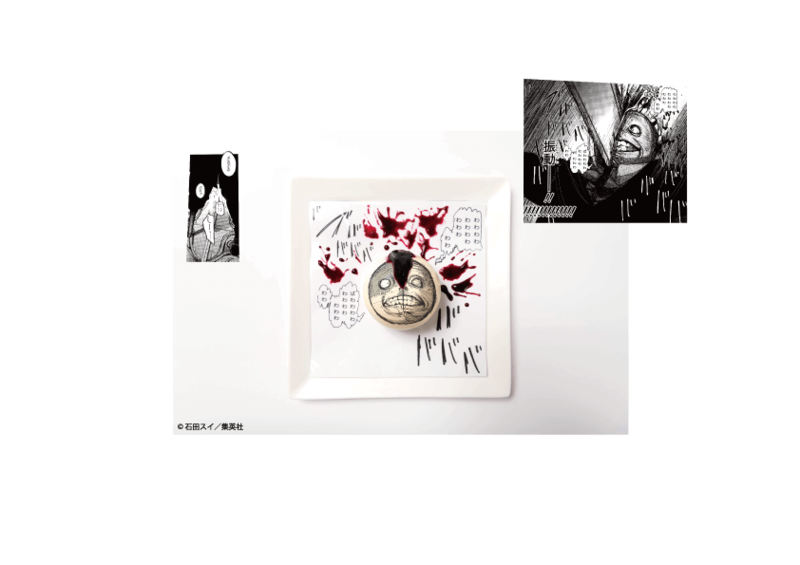 This creepy dish is based on the pâté of Shiono that Nimura serves to Eto which comes served in a container just like in the series. 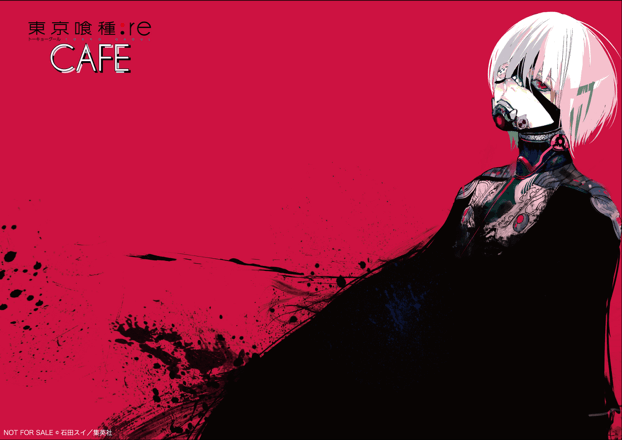 You have become even more of a ghoul since the first Tokyo Ghoul café back in 2017. Can you stomach eating an ordinary human sandwich now? When Kijima was dying he requested that he wanted to eat cheese. That’s what inspired this rare cheese cake, which when sliced into seeps out a red sweet and sour berry sauce. 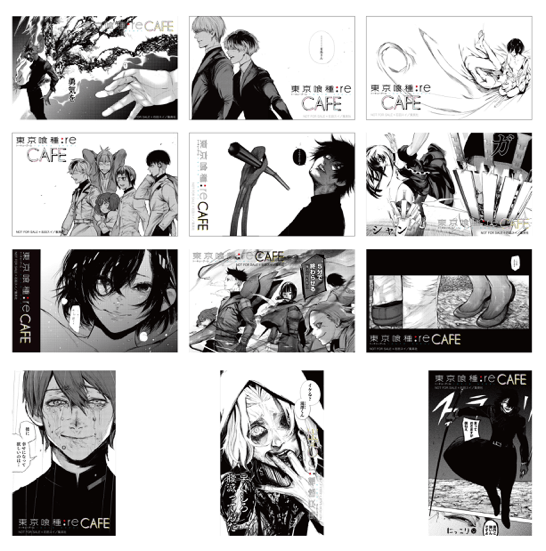 Customers who order a drink will receive a random sticker from a possible 12 designs. 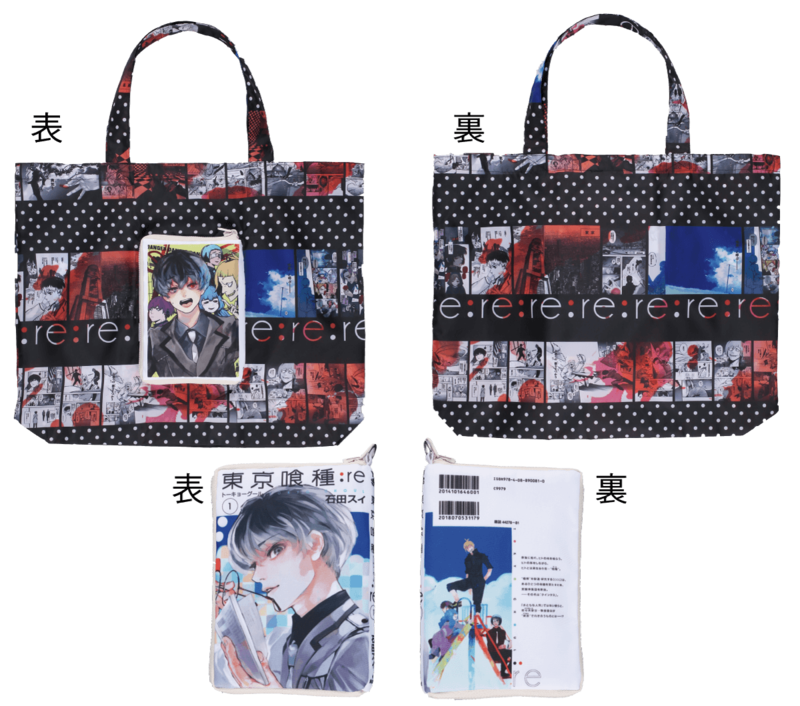 A selection of new merchandise will also receive pre-sales at the café. This isn’t the limit of the entire menu or merchandise either, there’s a lot more on offer too, including a free lunch mat to those who dine at the café. Fans―don’t miss out!